Vaughan Jones, the founder and violinist/arranger with Manor House Music also offers violin, viola and piano lessons in Buckinghamshire and surrounding areas in south Bedfordshire and west Hertfordshire. Vaughan is a friendly and encouraging teacher who aims to unlock the joy of music-making in every student by nurturing their general musicianship as well as encouraging a tension free approach to playing. He guides each student towards a way of playing, free from physical and mental blocks, opening up the possibility of a deeper connection with the music. Performance anxieties exam pressures are eased through the inner impulses of singing and the development of mental focus in performance allied to a precise understanding of violin technique. Indeed, the benefits of such an approach extend far outside the field of music, from increased co-ordination to improved concentration. As a pupil of Kató Havas OBE, Vaughan is an advocate of her New Approach to violin playing. Vaughan teaches pupils from 7 years old upwards and is able to teach all standards, from complete beginners to experienced musicians at conservatoire level (diploma and post-Grade 8 standard). He is familiar with the syllabuses of both the ABRSM and Trinity violin exams and can additionally prepare students up to Grade 5 theory as well as Grade 8 aural tests. If you would like lessons from a Buckinghamshire based violin, viola and piano teacher, do get in touch with Vaughan through telephone or e-mail. With his own studio, Vaughan can teach in an environment free from extraneous noises and disturbances. Parents are encouraged to sit in with young children and Vaughan can prepare pupils for exams and even accompany them. He is fully CRB checked and has up-to-date child protection awareness training. 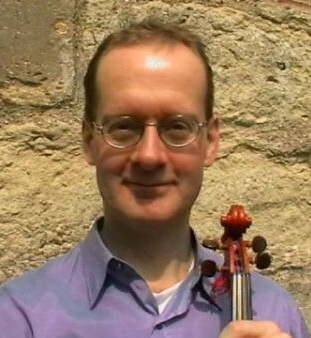 If you’re looking for an inspiring violin teacher in Buckinghamshire, contact Vaughan via e-mail or telephone.